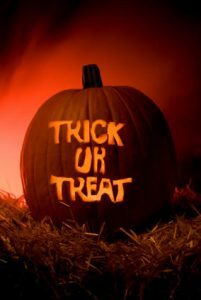 Trick or Treat – How does that fund wind up on the platform? The next time you’re speaking with a 401(k) service provider, ask them how that fund (any of the funds) happened to make it onto their platform. Is it because that fund has superior investment performance? Is it because the platform provider or insurance company’s well-heeled cadre of analysts deemed that fund to be investment worthy? While we’re sure (well…we hope) that there is some minimum performance criteria, the answer lies not in the performance; it’s in the payout. 401(k) providers accept payments from mutual fund companies to have their funds on their platform. The more funds the provider has on the platform, the higher the fee. In one instance we know of, an unnamed fund company paid an unnamed insurance company ONE MILLION DOLLARS to have their funds on their platform, which includes advisor access to the insurance company’s retirement wholesalers (their sales people) and to have those funds “promoted” to advisors by the insurance company’s sales desk employees. Furthermore, these pay to play payments dodge the notice requirements of 404(a)(5) as those fees are not charged (directly) to a participant. Talk about a ghost story! Everyone in the industry knows this goes on, but we could not find one article or one disclosure document or even one contract which explicitly states these fees. They are often masked in the 408(b)(2) as payments for “education, marketing support and training related expense.” We’re not surprised. Northwest Plan Services has no such skeletons in our closet. While we can’t speak for all open architecture shops, no fund company pays to be on our platform. Furthermore, no fund company pays to be on the custodial platforms we use. Funds are selected for the plan by the sponsor and their advisor based purely on the merits of the investment and how that investment will serve the best interests of the participants. If that last phrase sounds familiar, it should; it goes to the very heart of fiduciary responsibility – a responsibility the plan sponsor has to their participants. Insurance companies and other platform providers frequently tout their indifference towards which funds a plan sponsor uses. No wonder; they already have their money. When it comes to these pay to play arrangements, we say, Booo! Have I Got a Plan for You! Insurance Products Still Have a Long Way to Go. We help companies efficiently and effectively run retirement plans so their employees will be able to retire. We are not investment advisors.